Did you know the south leg of the Arch is the location of St. Louis’ first home, that of Pierre Laclede? Or that St. Louis is home to what many consider the first skyscraper? 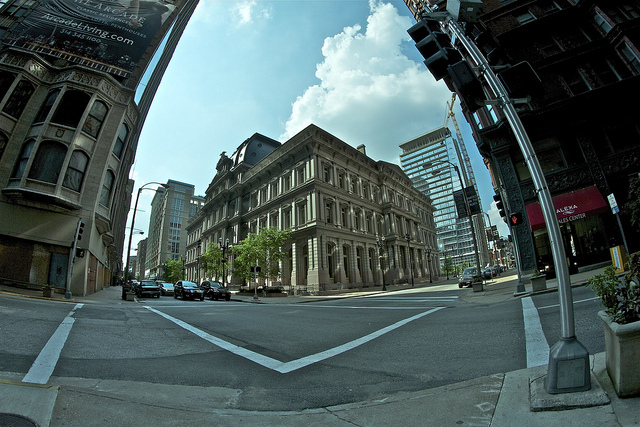 Or that the Old Post Office is built in the same style of the Louvre in Paris? St. Louis was founded by traders moving north and south on the river, by explorers and frontier families from the eastern states pushing restlessly west. It is a place that is neither northern nor southern, neither eastern nor western, but the one place that combines traits of all. It has been influenced by descendants of European colonists, by thousands of years of rich Native American culture which predated it and surrounded it, and by standing on the shadow line between the slave states and the free states. It has been both a destination and a gateway to other lands. In addition to the Architectural Tour they are planning additional tours to help us explore the area. 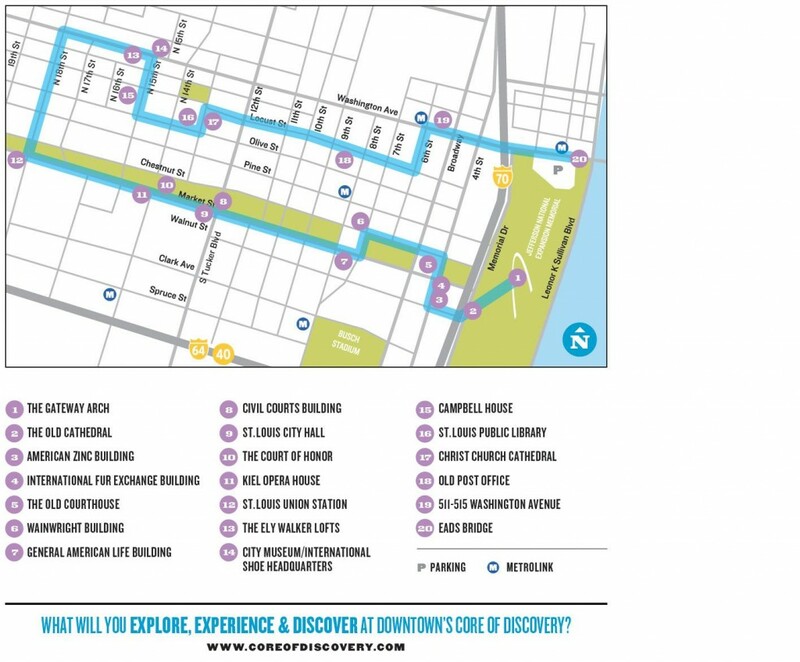 Instead of promoting individual attractions, the Core of Discovery highlights an area of interest that provides many options for exploring St. Louis within a pedestrian corridor accessible by foot, transit, or bike. And interwoven in the Core are restaurants, local retail businesses, and hotels. And right now, this is the time to celebrate the Riverfront, Arch and the heritage of downtown St. Louis. As local place blog Dotage St. Louis points out, “With the ongoing City Arch River 2015 design competition, it’s great to see the National Park Service express its dedication towards connecting the Arch to downtown in the meantime.” This corridor is the birthplace of our St. Louis heritage: the City belongs with the Arch and the River. Have you spent time in the Core of Discovery? Share stories with their Twitter feed and post photos to their Flickr page. There are already some amazing photos to check out. Hopefully we will see more attraction districts in St. Louis celebrated around their common history and location in the region. The Core of Discovery, however, is really where it all began. If I’m not in a waklking mood, which bus lines would I take to get to the places of interest shown on the map that are located east of Tucker Blvd., particularily on a Sunday afternoon? Iknow the 41 Lee and 93 Lindell used to run on Locust, and there were several lines that used to travel Washington and Market Streets east of Tucker.